At 03:14 three Sopwith Camels take off from HMS Furious in the first ever air raid launched from an aircraft carrier. The raid on the Zeppelin sheds at Tondern has been delayed for some weeks due to bad weather. Each aircraft carries two specially made 60-pound Cooper bombs. The second flight of four aircraft departs HMS Furious at 03:22 but only three reach Tondern as one aircraft suffers severe engine trouble and is forced to return to the fleet where the pilot is successfully picked up, though is aircraft is destroyed when the rescuing destroyer runs in over. There is no protecting enemy fighter aircraft at the base, although ground fire is intense. Two Zeppelins, L54 and L60, are destroyed in huge explosions in one of the three sheds at the base. Clouds and poor visibility may be a contributing factor to only one other aircraft returning safely to a British ship. One pilot drowns when he presumably runs out of fuel and has to ditch. Three other pilots are forced to land or ditch in Denmark where they are interned. Near Merville, Captain Edward Corringham Mannock, fires 80 rounds into an Albatross two-seater, which then goes to the ground in flames. HMS Garry twice rams sinks the German submarine UB-110. For his actions during this affair her commanding officer, Lieutenant Commander Charles Herbert Lightoller will be awarded the Distinguished Service Cross. The damage to the Garry is so severe that she just bareGly gets back to dry dock. Commander Lightoller was the Second Officer of RMS Titanic on her maiden voyage in 1912. The submarine E34 (Lieutenant Richard Ivor Pulleyne DSO DSC age 28) is lost with all thirty one hands in the North Sea through unknown causes. The Turks and Germans mount a brief attack at Abu Tellul near the Jordan, but are defeated by Australian Light Horse regiments with heavy casualties to the Germans. • Captain William Alexander Cosgrave Hedley (East Kent Regiment) dies of wounds at age 23. He is the son of the Reverend Herbert Hedley Vicar of Nackington. • Lieutenant Donovan Joseph Trapp (Royal Air Force) is killed in action at age 23. He is the final of three brothers who die while serving in the Air Forces during the Great War. • Second Lieutenant Francis Douglas (South African Infantry) is killed at age 24. His brother was killed in April 1917. • Private Thomas Henry Quayle (South African Scottish) is killed in action at age 27. His brother was killed the previous month. 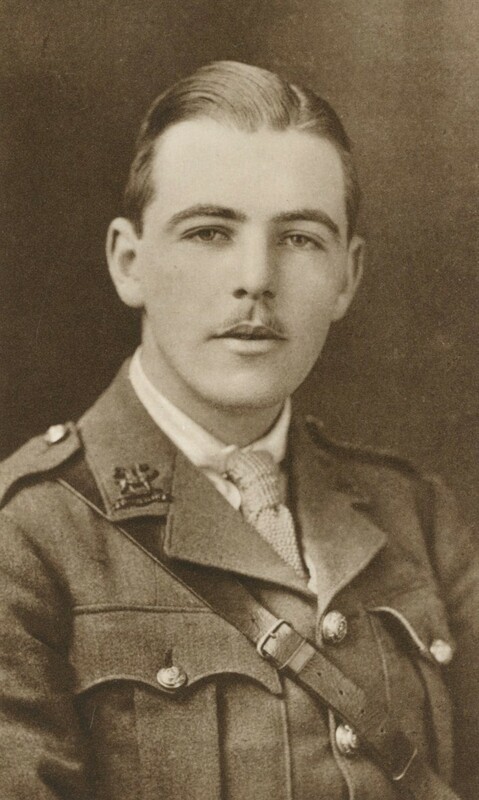 Captain William Alexander Cosgrave Hedley (East Kent Regiment) dies of wounds at age 23. He is the son of the Reverend Herbert Hedley Vicar of Nackington. Lieutenant Donovan Joseph Trapp (Royal Air Force) is killed in action at age 23. He is the final of three brothers who die while serving in the Air Forces during the Great War. Second Lieutenant Francis Douglas (South African Infantry) is killed at age 24. His brother was killed in April 1917. Private Thomas Henry Quayle (South African Scottish) is killed in action at age 27. His brother was killed the previous month.